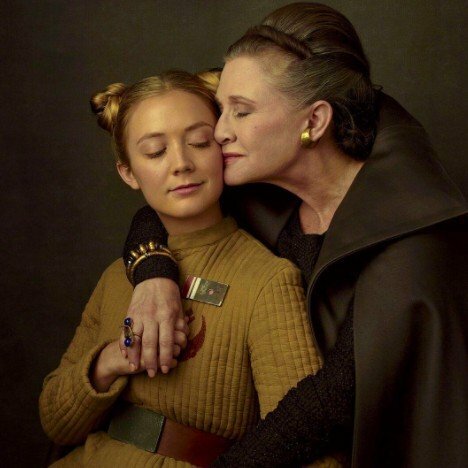 Ever since the unfortunate passing of Carrie Fisher, the question of whether or not Carrie Fisher would appear in Episode IX has been on the forefront of everyone’s mind. Fortunately, the answer of that question has finally been put to rest…kind of. They are not going to CGI Carrie Fisher as they had in Rogue One. Instead, they are going to use previously unreleased footage used during Star Wars: The Force Awakens, in order to give her character a proper conclusion. Considering this footage would have been shot before any of the events of The Last Jedi, it’s hard to predict exactly what the footage will feature. Considering that J.J. Abrams, who will be returning to the helm as director, also directed The Force Awakens, it seems that there will be a strong element of continuity between the two films. Hopefully this will help make the leap over The Last Jedi a bit less awkward. We still have until December 2019 to see exactly how her role plays out, but we know that Daisy Ridley, John Boyega, Oscar Isaac, and Adam Driver are all going to be reprising their respective roles. Kelly Marie Tran will be back to play the controversial Rose, while Lupita Nyong’o will return as Maz Kanata. Joonas Suotamo will continue his role as Chewie, Billie Lourd will continue her role with the Resistance (perhaps taking over in Leia’s place?) and some other veteran actors will return: Anthony Daniels as C-3PO, Mark Hamill as Luke Skywalker, and Billy Dee Williams as Lando Calrissian. It has been long speculated that Billy Dee Williams would return to end the franchise, and the cast list has finally confirmed these rumors. They also confirm the presence of Mark Hamill, who has previously been shy about admitting his presence in the film. And, of course, composer John Williams will continue to make his mark on the Star Wars legacy by providing the score for this film as well. He has composed the score for each of the nine saga films, excluding Rogue One and Solo. In addition to those listed above, we are going to see some new faces joining the prominent cast of Episode IX, including Naomi Ackie, Richard E. Grant, and Keri Russell, whose roles have yet to be officially revealed. For a list of producers and other crew members, click here to view the full cast listing release and let us know what you think about Carrie Fisher’s return in the comments below! Update: Deleted scenes of Carrie Fisher will not only be from The Force Awakens but The Last Jedi as well.